Do you share yourself in your writing? The internet is filled with advice for writers, some good, some helpful, some practical , some thought-provoking, some ridiculous, some amusing, and most of it very familiar. One of the most popular is the old adage to write what you know, or maybe you should write what you don’t know, as other sages suggest. Or maybe the best approach is to write what you like. Earlier today while browsing through email, I came across one of those questions writers hear often: Do you write about your own life experiences? Whenever I’m asked that question, I tend to shake my head. No, I don’t write about myself or my life. I am not my characters. In fact, as often as not, my characters are very different from me. One of the things I most enjoy in writing and in reading, too, is the opportunity to get out of myself into somebody else’s head. For me, it’s always important, too, that my friends and family feel comfortable around me, knowing that their personal experiences aren’t going to show up in my next steamy romance. Of course, some of them might enjoy that sort of thing! All joking aside, for me, it’s important to set boundaries between my life and my writing. At the same time, I must admit that I do draw upon personal experience each time I sit down to write. 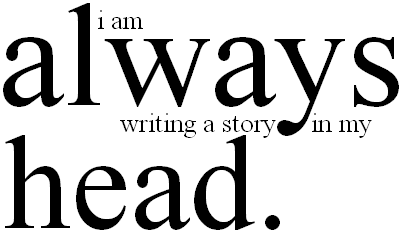 All writers do. We must. Writing comes from within ourselves, from the same place inside of us where all of our thoughts and feelings reside. It’s made up of memories, ideas, wishes, dreams, fears, and failures. What goes into our characters’ heads has to come from our hearts, otherwise, our characters are going to be dull and lifeless. Although I rarely recount an actual personal experience in a story, I do turn to my life for inspiration and especially for emotions. I consider people I’ve known and what they’ve given me to use: witty sayings, good advice, quirky personalities, off-the-wall ideas. I think, too, of places I’ve visited, and I try to connect with my memories — not simply what I’ve seen or heard, but what I’ve felt inside. Even if our stories are fantasies set in times and places — even worlds — that don’t exist, and even if our characters are strange creatures who shift from one form to another, at some level, there has to be a real, honest, human connection between our words and our readers. That connection comes from who we are. Who we are is the bridge between the stories we tell and the readers who turn the pages. Christina, I have always denied writing about people I know, but recently I admitted to myself and the world that I do write about my experiences with people. My characters are a composite of the people I’ve dealt with in real life. The Catalyst, especially, is one of those books. My thoughts exactly! I swore I never wrote from personal experience, but I’m realizing now that we have to draw on our life…that’s the source of our creativity, really. I don’t think you can ignore those around you whether it’s their traits or things they’ve done. I’ve had a few good characters come to me from fellow passengers on the bus! I agree. People are fascinating to observe. Fellow passengers are a great source of inspiration, I’m sure. Pingback: Create your writing life | My Busy Days…Am I Retired Now? I like to take pieces of people and events around me and weave them into the story. Life does offer us so many little tidbits to use in our stories. I’m realizing now how many of my stories do have pieces of “real life” in them. I think some our experiences/characteristics of people we know sneak into our writing on a subconscious level; we don’t even realize it until we’ve reread what we’ve written. That’s very true. Maybe that’s why I denied it for so long. It’s interesting to look back over stories now and see all the influences from my life. I absolutely write from my own experience. Settings, vocabulary, body language, emotions, motivations, all come from things I’ve experienced and people I’ve known. When I strike it rich and can afford to ‘experience’ Antarctica or a meal at the French Laundry, I’ll write about those too! For me it’s a mash up of my experiences, dreams and my imagination. There are just some things I write I wouldn’t want to ever be real. my characters have traits borrowed from several people so they do end up being there own persons. Imagination is such a marvelous thing. Between real life and the lives in our head, we can create so much. Thanks for dropping by and sharing your thoughts. Thanks for the pingback 🙂 Do I detect shades of Ray Bradbury lurking in the dark recesses of your mind? The story idea made me think back to The Veldt. Well done.